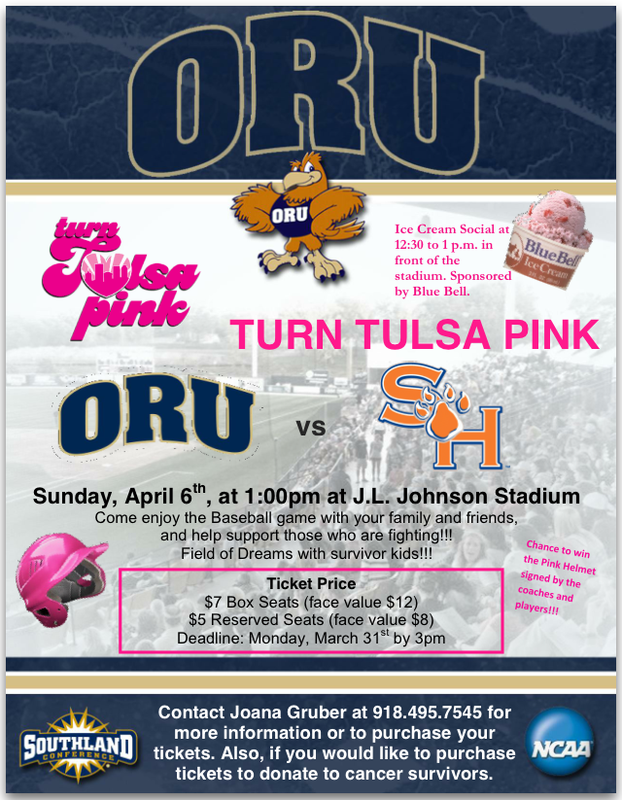 Turn Tulsa Pink ORU baseball game this Sunday! Kids will be able to go out on the field! If you want to go, please call or text me at 918-527-5647. Thanks!